Our wild caught North Atlantic Albacore Tuna is pure, high in protein, and abundant in Omega-3s. These sushi-grade medallions possess a remarkable iridescence and can be pan seared rare for sashimi, marinated and grilled, or poached to make the most incredible tuna salads. 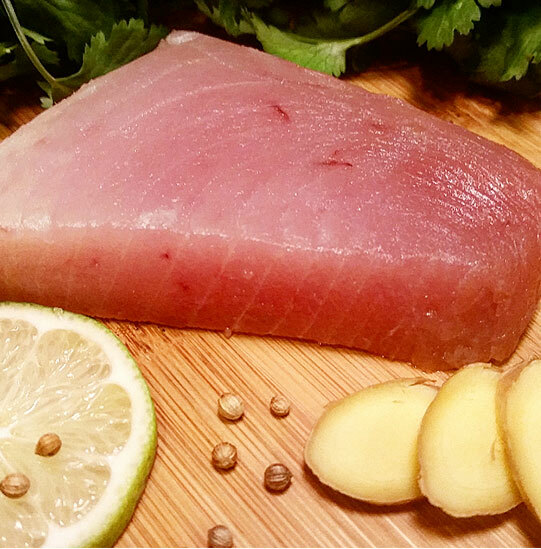 We are proud to have Albacore Tuna on our menu due to it’s remarkable versatility and healthy sustainability. We encourage you to try the many recipes that require Sushi-grade Tuna and have plenty of culinary fun in the process!